5 days, 1500 miles — ...and we're off! last saturday, we bid farewell to the midwest and headed south. we knew we wanted to head down to nashville and spend some time in the smoky mountains, but beyond that, we didn't have any real plans. there was nowhere we had to be that day, or the next day, or the day after that. for the first time, we were completely free of any obligations! it was a newfound sense of freedom that neither of us had ever experienced, and that in itself was a thrill. the great thing about being on the open road with a wide open schedule is that it gives you the chance to see people you haven't seen in ages. 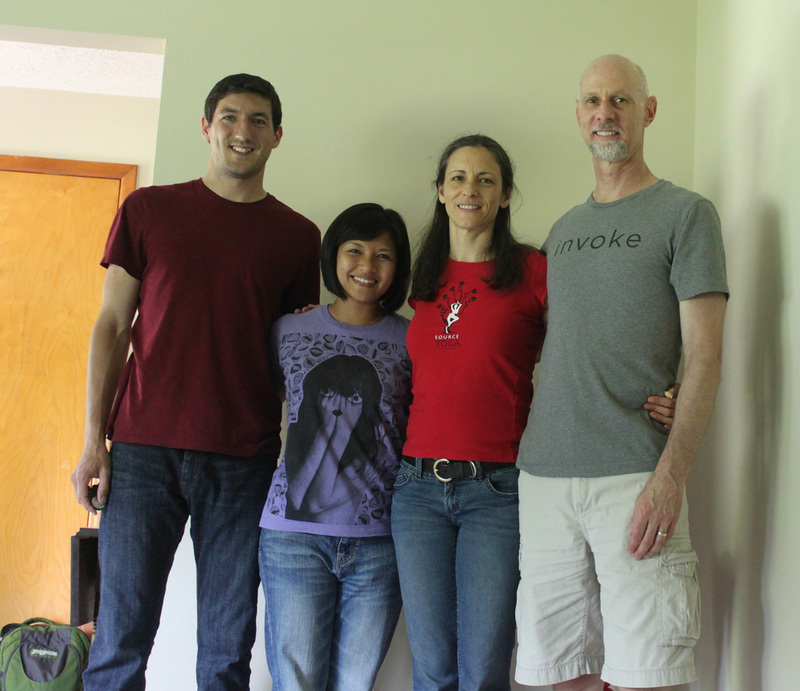 on our way to music city, we had lunch in indianapolis with alex's family friends chuck and ahna, who are both yoga instructors. they taught us a few simple stretches and poses and even let us try out their chi machine! afterwards, we drove to bloomington to meet up with michelle, a friend of mine from middle school whom i've only seen once in a decade or so. we spent the night just outside of nashville, and the next day tooling around the city. this was the first place alex had ever been where the locals spoke with a drawl - can you believe it? we enjoyed delicious bbq at jack's, bobbed our heads to live country music at one of the honky-tonks, and tried on some cowboy boots (obviously). after surviving a crazy thunderstorm on the road later that night, we woke up early and went to smoky mountain national park to do some hiking and take in the spectacular views from clingman's dome, the park's tallest point. the next day we drove to asheville, which was full of great restaurants, boutiques, and good vibes. if you ever go, definitely have brunch at the tupelo honey cafe - i seriously had the best sweet-potato-and-granola pancakes of my life! at this point it was time to make our way to new york. we took the breathtaking blue ridge parkway part of the way there, then spent the night in roanoke, virginia with our friend greg, who's just finishing up his second year of med school. the rest of our 1500-mile journey from chicago to new york included my driving 3 hours on the interstate (a first on a stick for me!). the minute we saw the empire state building from the freeway, we were overwhelmed with joy and nostalgia. it had only been two weeks, but it felt good to be back in nyc! the day and a half we were home, we repacked, caught up with people, and helped our friend jess celebrate her birthday. friday morning, it was time to get back on the road - this time with alex's sister rachel in tow. we were off to maine!